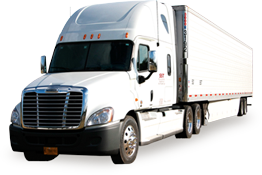 As local New York City movers we offer a complete relocation service and we are continually investing in the latest technology and working practices in order to fulfill the expectations of our customers. We Are Accountable! We make sure that accountability transcends everything we do on every level and assures the highest quality of moving service available. As a premiere moving company it is our mission to make every customer a ‘customer for life’. Movage exclusively offers binding prices and never estimates. We make sure that absolutely everything is negotiated up-front so you don’t have to fear if there will be any additional charges or surprises during your move. Our qualified staff of professional movers and fleet of new trucks will meet all of your moving needs. We carefully screen all our employees and regularly train them in the latest packing and moving methods. Our crews utilize state-of-the-art equipment to safely transport and deliver most fragile furniture, fine arts and pianos. Movage offers both short and long-term storage solutions. Our facility is monitored 24 hours a day using modern security systems. Storage rooms are climate-controlled and fully insured. Call us today to find out how to receive a free month of storage. Movage provides storage-in-transit at no additional cost. Movage is licensed for interstate and intrastate moving. We comply with licensing and insurance requirements in all states we operate in. Local Moving & Storage New York, New York – Movage Moving is a local New York moving company ready to help out on your moving day. Cheap and budget professional movers, Movage Movers NYC offers best moving and storage services in Manhattan and New York City.